Having a perfect Valentine’s Day is important and what you give your loved one is just as important as the costs involved. If you give artificial flowers on Valentine’s Day as a gift, it is a great option for many people! If you are looking to make this year special, then consider switching your flowers from real to artificial. Artificial flowers have improved over the years, the quality and the style of flowers you can get is amazing! Don’t think because they aren’t real they won’t have the same impact on your loved ones! Those people with allergies will thank you for the gesture! My husband and my daughter are both allergy sufferers and having fresh flowers in the home is a no go! They don’t need to suffer just because I love flowers, they can get the benefit of something looking pretty without the suffering that real flowers cause them! 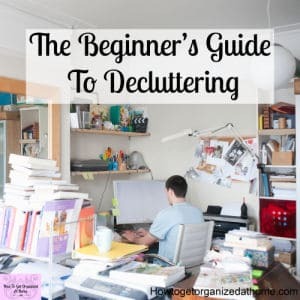 I know my husband feels guilty for not buying me flowers, but for me to enjoy them causes him to suffer and that just isn’t something that I’m prepared to do! For those people who have allergies having flowers in the home is a nightmare! They are extra sensitive to the smell of the flowers, I really don’t notice how much flowers smell compared to my two sufferers! If you are concerned with the athletics of a flower and how detailed you would like something to look then artificial flowers will out-perform real flowers because how they look is controlled at the point of manufacturer! You can even change them to look how you want, you might be after a particular colour and if that’s the case then getting them made for you is the easiest option! When it comes to real flowers the colour match isn’t possible unless you start dying the flower and this I think ruins the beauty in which they are created! It’s often near impossible to tell if they are fake or real unless you touch them! I feel that if you consider the cost and the length of time that artificial flowers last you might not be surprised at the added value you are getting! 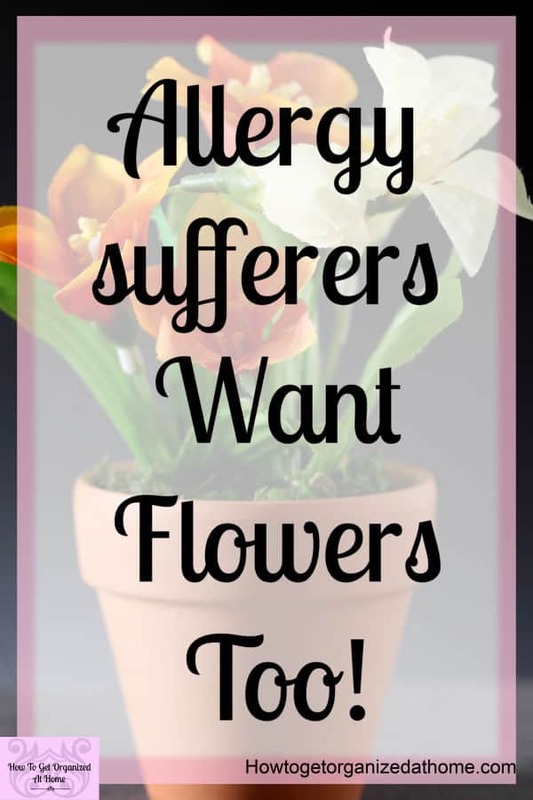 Allergies can cause discomfort and make a person feel ill; giving real flowers to an allergy sufferer is not your best choice, because of the effect they can have on a person. Artificial flowers won’t cause an allergy sufferer to have any ill effects and they can enjoy the beauty of the display without worry. These flowers can last for years if there cared for properly; this gives more meaning to your gift than you can imagine. It will add to the romantic gesture of the giving of a gift, which will last a lifetime. What’s important here is, artificial flowers look real and are amazing! The choice of flowers that you have is immense, you are not restricted to the current trends or the flowers that are in season. You can have the flowers that you want and each one will be perfect and flawless, you can have them look like the original or you can have them any colour that you like, the options are only limited by your imagination and budget! Get your artificial flowers and vases, already presented to make the flowers look stunning! 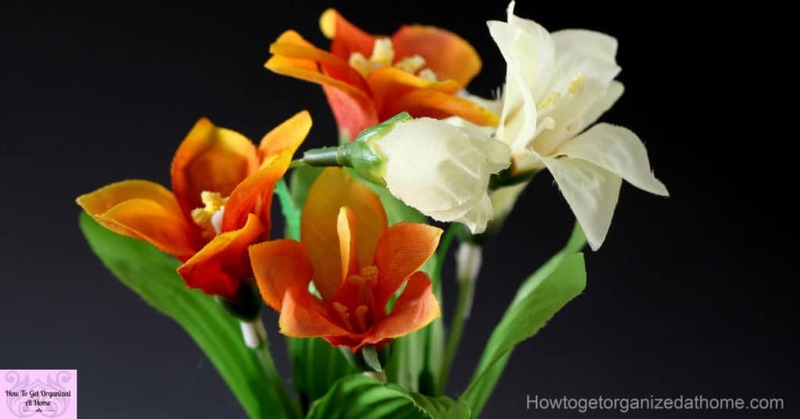 There are so many reasons for artificial flowers for decoration or to give to a loved one who suffers from allergies! With Valentine’s Day, the options for roses as the preferred flower increases and so to do the prices. This is true for the artificial roses but in comparison to the price of real roses, the artificial roses will always come in cheaper and in a style that you like. Real flowers need watering on a regular basis to keep them living longer and looking great. However, there is a limit to the life of a real flower, it depends on how well you take care of it as to the length of time that it lives. You don’t have these concerns with artificial flowers, they look great all the time; yes you have to clean them but this is a minimal effort in comparison to the length of time they will look great in your home. These roses look beautiful and amazing! Maybe these Peony’s, they look stunning and perfect for a gift! 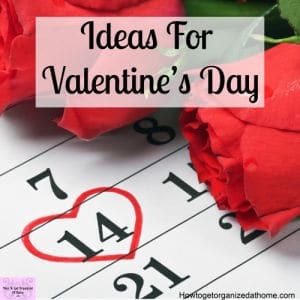 If you are looking for inspiration for Valentine’s Day check out this article on Fun And Frugal Valentine’s Day Fun! If you have health problems like hay fever, getting a bunch of flowers isn’t the best choice. Just having flowers in your home is a nightmare for hay fever sufferers and not something that they will love. Some flowers pose further risk to the pets which we have and it is important that whilst you might like certain flowers, ensure they are safe to have inside your home. The last thing you need is an emergency trip to the vets, due to fresh-cut flowers in your home! If you are given flowers always keep them out of the way of pets, you don’t want them knocking them over, or worse still ingesting something that can even kill your pets! Keep your pets safe this Valentine’s Day! If you are looking for the best option for Valentine’s Day, it is a great idea to know how much your budget is before going shopping. 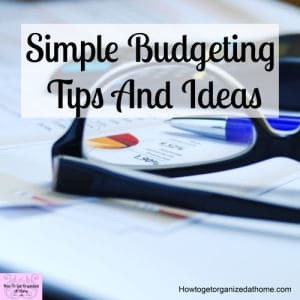 You don’t want to overspend! Adding a category to your budget for special occasions is important, it means that you can go out and give the loved ones in your life those little luxuries that make them feel special too! 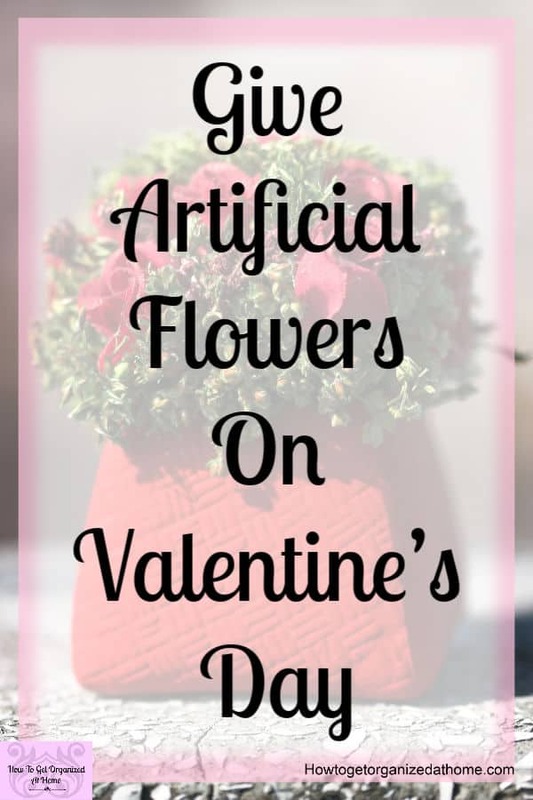 So, when it comes to giving flowers this Valentine’s Day, don’t dismiss the artificial flower option as it might be the perfect gift you can give! I love some artificial flowers, although real flowers do come with a beautiful smell. That would be the only thing I would miss. They are so expensive on Valentine’s Day that I would almost rather get chocolates! Great points. 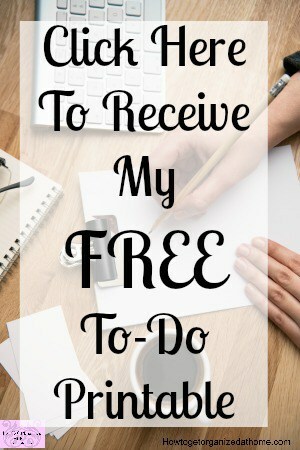 Thanks for linking at Snickerdoodle! Hope to see you again on Saturday! They are great in a house of hay-fever sufferers!